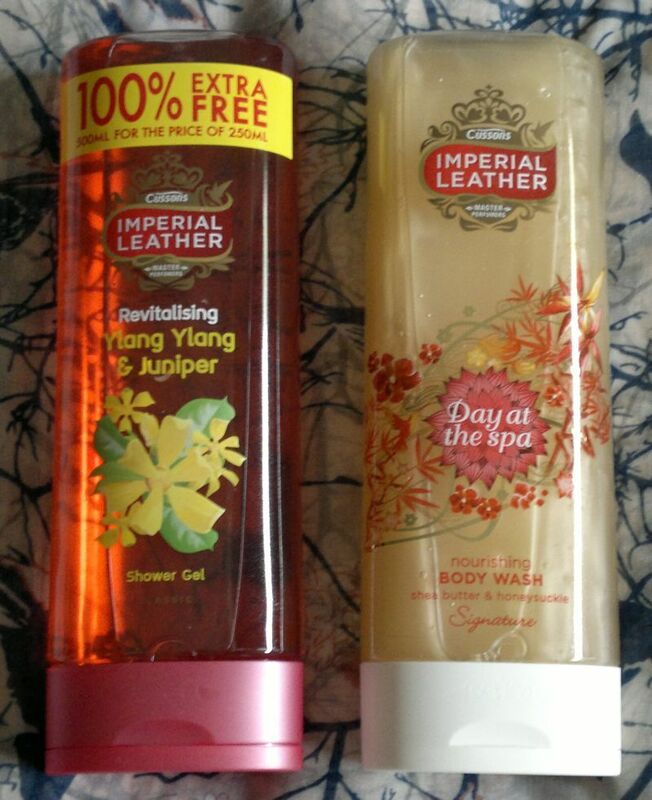 So I bought Imperial Leather’s Revitalising Ylang Ylang & Juniper Shower Gel and Imperial Leather’s Day At The Spa Nourishing Body Wash with shea butter and honeysuckle. Imperial Leather Revitalising Ylang-Ylang & Juniper Shower Gel turned out to be much nicer than expected. Whilst this shower gel is not moisturising at all, it smells surprisingly pleasant – almost sophisticated. I would describe the fragrance as a mix of tea, flowers and clean woods. Very nice! Imperial Leather Day At The Spa Nourishing Body Wash is just as pleasant. I love that it’s a noursishing body wash, so my skin doesn’t feel dry the moment I get out of the shower. The shea butter and honeysuckle fragrance is lovely and I think it matches the spa theme perfectly. The shower gel has been renamed to Summer Days now, but that name is just as fitting. Hi there! This is my first post about stuff I wouldn’t recommend. I’ve done a few posts about products I wouldn’t repurchase, but I’m thinking that I might make it clearer in the title from now on. Now, let’s get to the products! 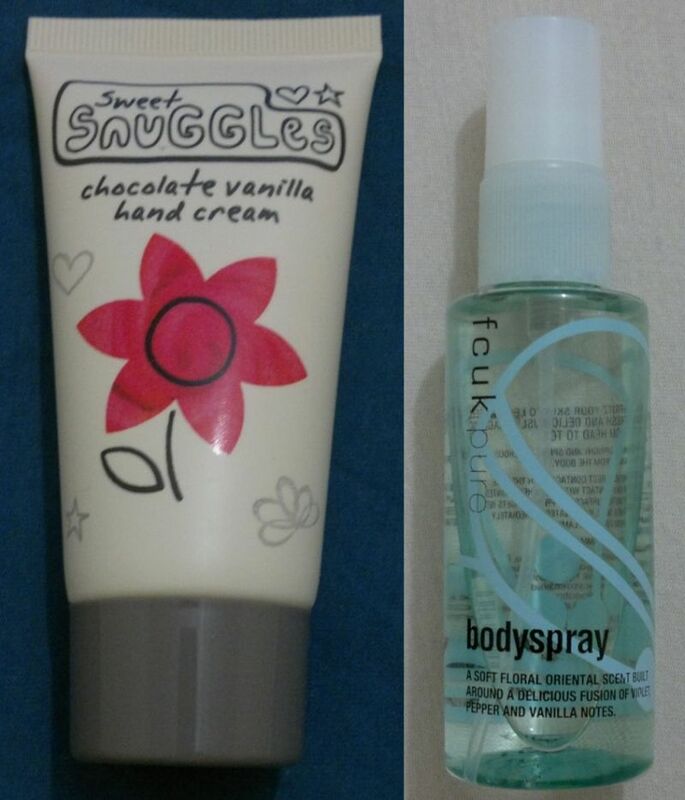 Meet Superdrug’s Sweet Snuggles Chocolate Vanilla Hand Cream and FCUK Pure Bodyspray. Superdrug’s Sweet Snuggles Chocolate Vanilla Hand Cream is a product I found in the bargain bin at my local Superdrug store. Whilst this cream does a good job moisturising my hands, the sickly sweet vanilla scent annoys me big time. At first there’s a blast of old-fashioned violets, the next thing my nose picks up is the smell of butcher – the intensity of the white pepper in this fragrance is beyond words. 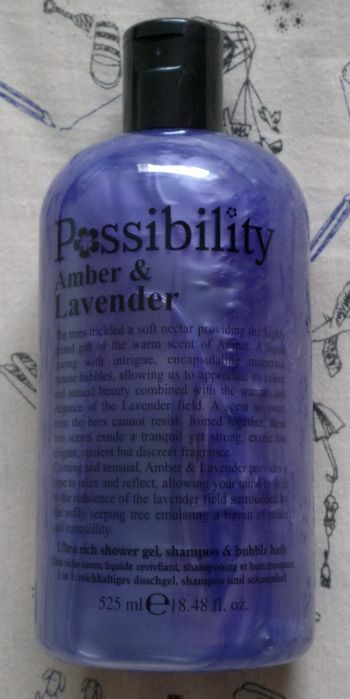 After a minute or two the pepper note is gone and what remains is the scent of dried violets with a hint of candy vanilla. Not pleasant. At all. I’ll give the hand cream and the bodyspray to a teenage relative who’s always happy to take all kinds of unwanted stuff off my hands. She loves sickly sweet scents in everything, so she might actually like these two products. Hi there! After lots of manis involving foils or stamping I’ve done a really simple mani the other day. 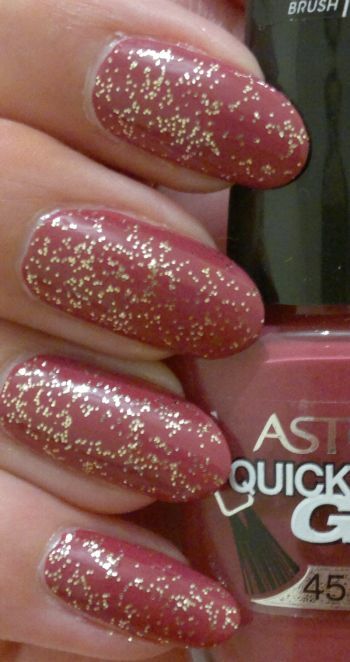 I couldn’t think of anything spectacular, so I just painted my nails (two coats) with Astor Quick’N Go 321 – a pale vintage rose colour with a cream finish. I wasn’t sure which kind of glitter would look best, so I chose a simple gold glitter as a top coat. I’m sorry, I don’t remember which one because they all look the same. And I meant it – they’re not similar, they all do look the same. I’m quite happy with the Astor polish (another great find from Poundworld) which didn’t chip until day four. The gold topper didn’t feel too rough. Good suff – no regular to coat needed! Whilst this isn’t my favourite mani, I think it looks alright. Hi there! 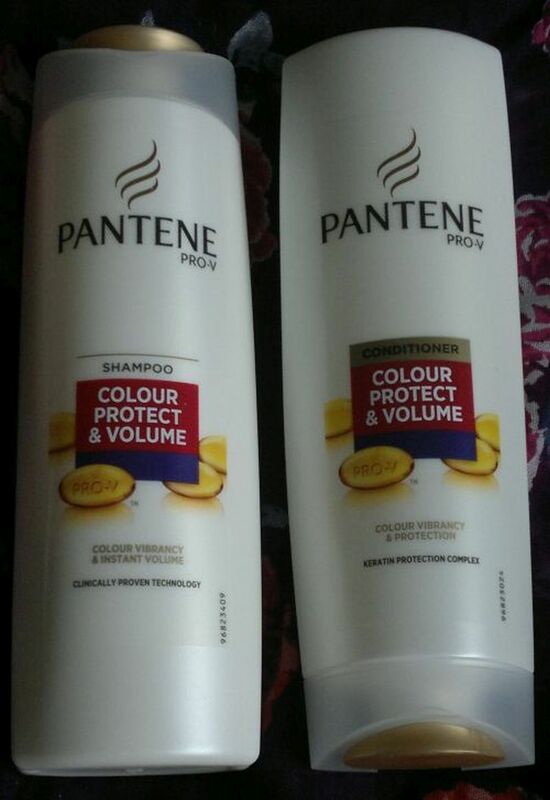 After Pantene Youth Protect and Pantene Breakage Defence I’ve now tried Pantene Pro-V Colour Protect & Volume Shampoo and Conditioner. I really love the shampoo. It makes my hair feel incredibly soft. I think this is one of the best shampoos I’ve ever had. The conditioner is not as great. It feels dry and not very conditioning at all. I need to use a lot of product but the result is still only meh because it doesn’t detangle my hair properly. I’ll definitely repurchase the shampoo and will team it up with a different conditioner. However, I’m not buying this conditioner again. Pantene Colour Protect & Volume shampoo (400 ml) and conditioner (360 ml) can be yours for £3.99 each. But keep your eyes peeled for half price offers! Hi there! I’ve been looking for a nice and opaque white nail polish for a while. And after reading a few reviews I bought MUA White Wash. I think White Wash is quite good. It didn’t take long to dry and two coats were sufficient for perfect white nails. Good job, MUA! 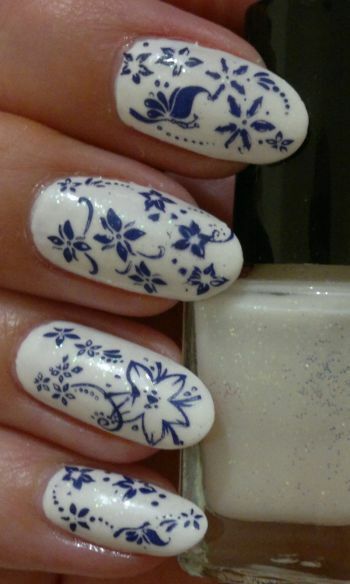 But before I got to work with my stamping kit, I tried to add a touch of glamour with a no-name iridescent white shimmer polish.